A little while ago, we were invited to join a group on a pilgrimage called Chota Char Dham. If I had Suraj’s support, I was pretty eager to be part of it. I didn’t think that such an opportunity would arise again, and I was sure that our Guru wouldn’t do it again. For me, it was about saying yes, and then surrendering to whatever happened afterwards. What happened next? We signed up for the trip and began training for the up and coming treks. Suraj and I discovered that we really enjoyed taking long walks and challenging ourselves with routes that had sections with steep inclines. Where would the pilgrimage take us? 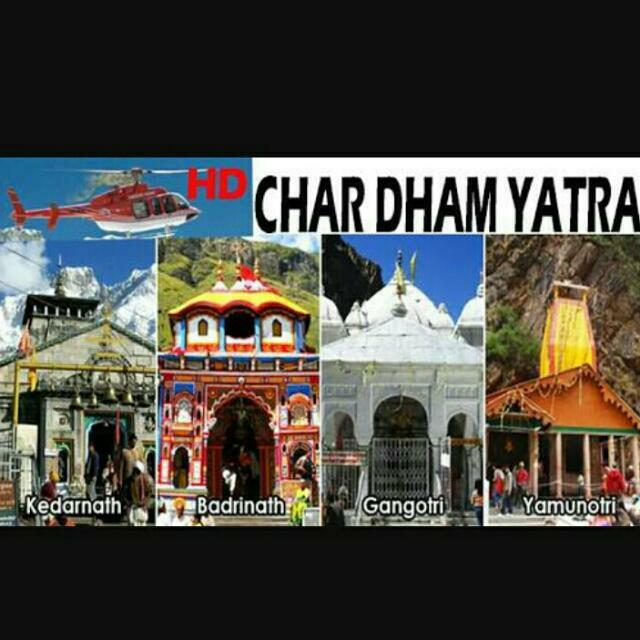 The four (Char) places included Yamunotri, Gangotri, Badrinath and Kedarnath. 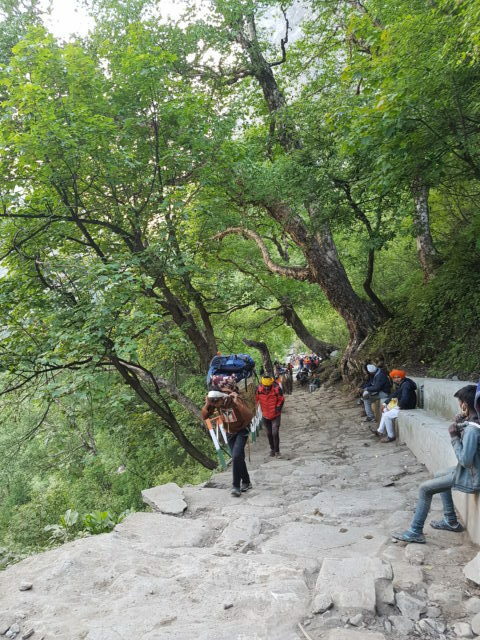 The itinerary included going to Mana Village, The Valley of Flowers and Hemkund Sahib too. We heard that many people were saying that we shouldn’t go on this trip, and that those who trek on a regular basis wouldn’t attempt it, thus a group of people ranging from as young as 11 to over 75; definitely shouldn’t do it! Some said we wouldn’t all come back alive. Others said that those who aren’t used to ‘roughing it’ shouldn’t do it. Some people I knew were concerned about me specifically, because I have some longstanding back issues. Funnily enough, some people thought we shouldn’t go because we may not get vegan food. I found that rather odd because we’ve been to Mangi-Tungi, Palitana and Switzerland with our Guru, and I don’t recall the issue of vegan options coming up then, nor do I recall it being a problem. I showed the itinerary to my Pilates teacher. She asked me some questions but I didn’t have the information she needed to advise me accurately. We new that we would be travelling in Innovas, but we didn’t know which seats we’d get, or if the seats would recline. Thus she advised me to buy a wedge cushion to sit on. This would ensure that my hips are higher than my knees, and hopefully prevent any back issues. She also suggested I got something to cushion my neck. Other than that, she suggested some daily exercises, and way to alleviate any issues, if they arose. Sitting in the car was fine. I could recline the seats, which helped a lot. A lot of the journeys involved driving fast on winding roads, and I soon learned that my body couldn’t handle it. I was sick. Luckily we were travelling in groups of cars, and one of the passengers in the car that stopped behind us, had some medication which help relieve the nausea. Unfortunately, I was sick again, so he gave me another tablet, which was stronger and much more effective. After that, when I knew we’d be travelling on similar roads for a long time, I took the tablet half an hour before we left, and thankfully, I wasn’t sick or even nauseous again! I have mixed feelings about this trek. I think the trek itself was fine, but there were simply too many people. There were also a lot of people who did the journey on a horse or in a doli. 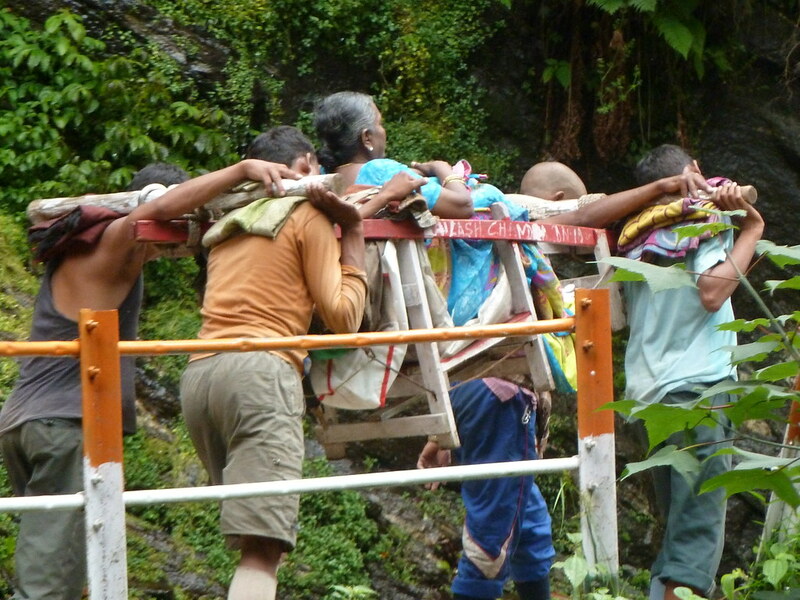 This was difficult due to the number of people on the path, the amount of space we needed, combined with the amount of space that the doli and the 4 men carrying it needed. 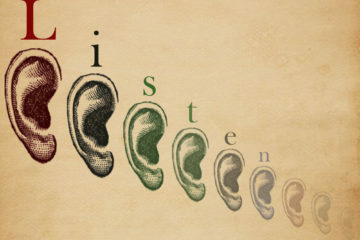 Often they would shout ‘side’ which meant that we needed to move to the side, but we didn’t always hear it in time, and a few of us nearly fell as a result. Lastly, we set out for the trek thinking that it was 5km each way, but it was actually about 8km each way. The distance wasn’t a problem, it was more that we weren’t prepared for it. Thus we didn’t take enough snacks or water with us. 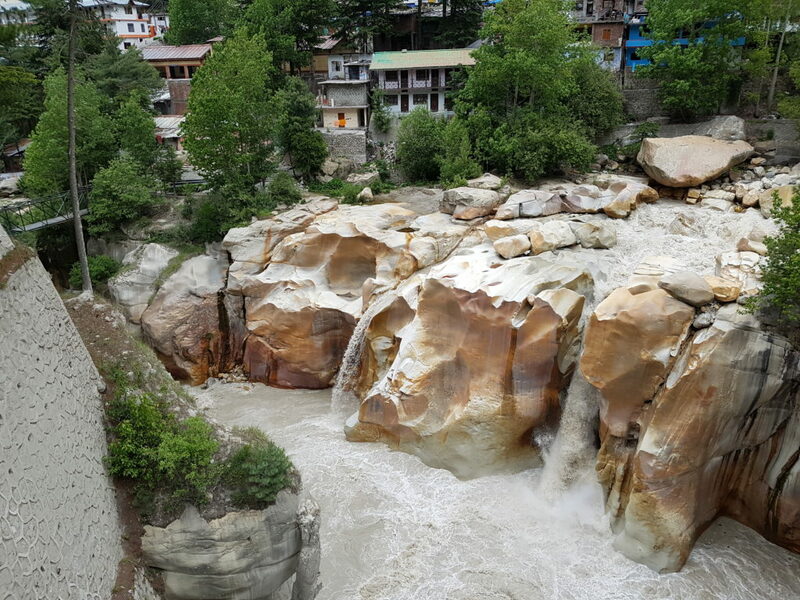 We got to Gangotri and I realised that being at a height of over 10,000 feet effected me. I hadn’t been up at such a high altitude before. I was walking much slower than usual, and after taking a few steps up hill or going up any type of stairs, made breathing difficult. All I needed was a few hours to acclimatise. After that, I was fine! We went and say along the River Ganges and witnesses various acts of devotion. It was amazing! The next day, a few of us took part in a Puja and we went to see Surya Kund, which was stunning. 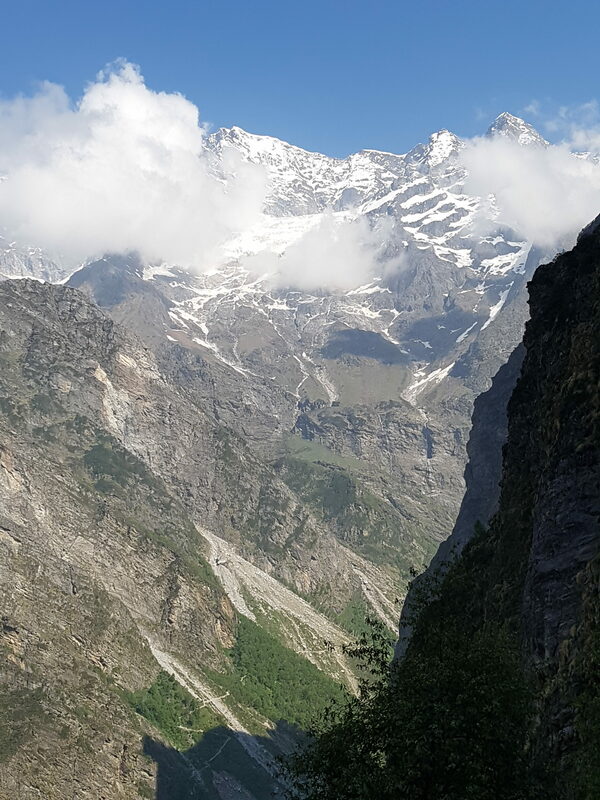 Going to Badrinath was a good test for me. A test to see if I’d stand by my ethics and if I’d maintain a sense of calm. This temple was in huge demand and there were long queues. Some people tried to push in, others forced their way into an earlier part of the queue and there were times when we were invited to jump the queue too. I didn’t want to do something which would irritate others, so I went to the back of the queue instead of pushing in. I also didn’t want to be a hypocrite. I wouldn’t appreciate others pushing in front of me, so why is it OK for me to do the same? It isn’t! Unfortunately, I ended up with severe diarrhoea the night before we were due to travel to Kedarnath. I was well enough to travel the day after but the tour company couldn’t organise the transport for us, so we only managed to complete three of the four places. The walk to and within Mana Village was pretty cool. There was a variety of things to see, as well as, the opportunity to hear about the history behind the caves, sources of water and there were even some stories about the rock formation. It rained heavily for a number of hours before, and on the day that we planned to walk to the Valley of Flowers. For this reason, it was cancelled. However, we managed to watch a presentation about it. It was interesting to hear how the area was discovered and the, often multiple, medicinal uses of the huge number of flowers that grow within the valley. 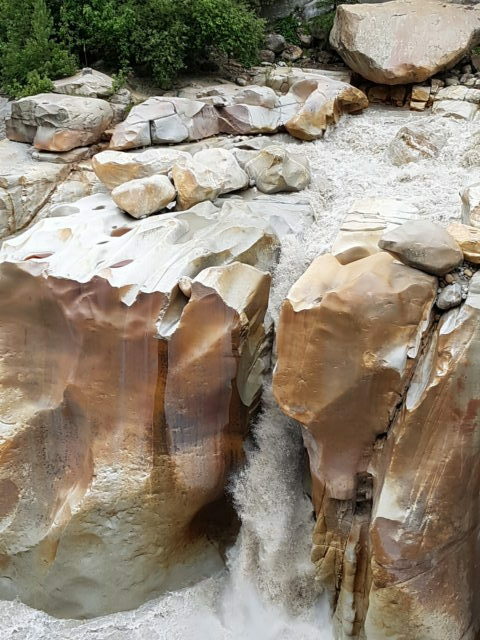 Another reason that this trek was an achievement for me is because I ended up doing most of the trek on my own, without having access to water. I had a backpack with a hydration pack, but soon realised that I would struggle to do the trek if I was carrying this bag too. I spoke with Suraj who said that if I gave my bag to one of the porters who was with out group, I could simply drink from his water. It may seem obvious, but I didn’t want to slow him down by asking him to stop, so that I could have a drink. Also, we’ve realised that Suraj finds it easier walking up hill, whereas I find downhill easier. Thus during the treks, he walks on when we’re going uphill, stopping every now and again to check I’m OK, and I do the same when we’re walking downhill. At the beginning of the trek to Hemkund Sahib, we came across a horse, which seemed to trying to make a run for it. Unfortunately it was running towards Suraj. He was stuck, because if he moved forwards, he would have collided with the horse, and he couldn’t go backwards, because there were rocks behind him. He tried to move sideways, lost his footing and hurt his foot a little. He said he was fine and continued. I continued, on the assumption that he’d catch me up, as he finds trekking uphill easier. After that I remained ahead. I stopped and saw Suraj a few times. Each time he gestured that he was fine and to continue, so I did. After a while, I realised that he wasn’t in sight at all. I stopped a number of times but couldn’t see him. Other members of our group passed me, and they said he was close behind, so I continued. During this time, during four of the times that I stopped, I managed to see the porter, and grabbed a drink from my bag. However, after that I didn’t see Suraj or the porter at all. I could have bought some water, but my money was in my bag. After about an hour or more, I was thirsty and could see that there was a lot more to walk. However, I kept going and had a sense that everything would be OK, and it was! I passed someone who offered me water. Soon after that someone else offered me some glucose, and just as I was feeling that I needed something, another person gave me some glucose powder. I kept going, and made it to the top. At the time, I was a little concerned about not being able to find my group, and didn’t really take in the majestic view, but there’s something about it that has stayed with me ever since. Whenever I think of it, and visualise it, I get a feeling of calmness, stillness, peace and beauty. On my way down, I saw someone who told me that Suraj had made it to the top and that he was fine. Both of us had made an internal resolution that we wanted to walk to the top and back again, and we were over half way through achieving it. Funnily enough, although I usually find walking downhill easier, I found it quite tricky because the path was uneven, and although I was being quite careful, I lost my footing and slipped a few times. Nevertheless, I made it to the bottom, and this time I wasn’t on my own. I met different friends during different parts of the route, and enjoyed their company whilst we were together. Hemkund Sahib is at an altitude of 15,200 feet and the trek is about 13 km in total. That was the last feat, after which we made our way back to Delhi, and then on to London. What were the best parts of the trip for me? I’d love to hear your experience of this pilgrimage, or about a similar type of trip you’ve made.